A sitting councillor in Lancashire was let back into the party after fuming about “Jewish” media attacks and the Rothschild family. She told party investigators she meant “Jewish” as a “blanket term of description without any racist connotations”. In Manchester, a trade union official was readmitted despite sharing material saying “Jewish Israelis” were behind 9/11. Corbyn’s office has been involved in approving, delaying or blocking at least 101 complaints. The party claims the disciplinary process has been free from political interference since March last year. 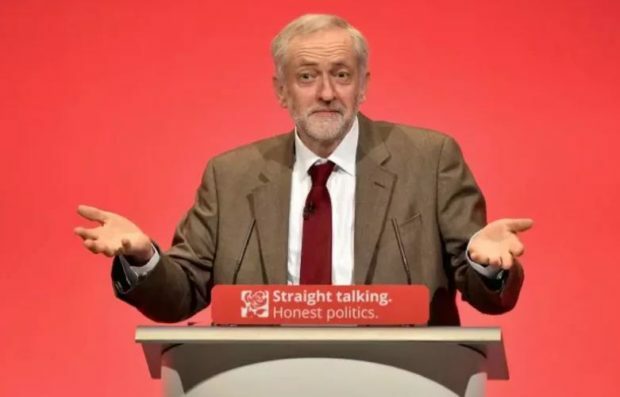 A month later, however, in an email seen by The Sunday Times, Corbyn’s chief of staff, Karie Murphy, said that “going forward” his office needed an “overview” of politically sensitive cases. • A Labour official said a council candidate who accused Jewish MPs of being “Zionist infiltrators” met the threshold for suspension. She then ruled that because he “is a candidate” he should not be suspended; he faced no action. Labour’s official Jewish affiliate called the party’s approach to antisemitism “boneheaded”. Peter Mason, national secretary of the Jewish Labour Movement (JLM), castigated his party for its “consistent obfuscation and denial”. JLM will hold a vote of confidence in Mr Corbyn’s leadership today and Mr Mason told Sky News: “It’s been more than a year since the Jewish community took to the streets to protest: ‘Enough is enough’. It’s been more than a year since the Jewish community met with the leader of the Labour Party and with his senior staff to ask him to take serious actions. It’s been more than a year since we met the general secretary to lay down what those actions look like. Of 863 complaints overall, 454 (53%) are unresolved, including 249 where the party has not started an investigation. There are 176 ongoing probes. Just 29 cases have been referred to the body authorised to expel individuals. Of 409 cases where a decision was reached, 191 members faced no further action and 145 received a formal warning — which has no impact on membership or ability to stand as party candidate. Fewer than 30 were expelled; the rest left the party of their own accord. However, the claims he made during the meeting are apparently undermined by emails in which the leader’s chief of staff says Jackson herself must be kept abreast of certain complaints. A Labour spokesperson said: “These figures are not accurate,” adding: “Lines have been selectively leaked from emails to misrepresent their overall contents. “Former staffers asked the Leader’s Office for their help with clearing the backlog of cases. This lasted for a few weeks while there was no general secretary, and was ended by Jennie Formby [now in that role].